Our electeds have not let us down in Colorado. Thus far they are thoughtfully putting forth reasonable, important laws to protect our planet, our marginalized communities and our children. So of course the radical right is gunning for us–forcing our reps to read 2,000-word bills on the Capitol floor, trying to recall our representatives, claiming the word “sanctuary” to apply to areas where they’re eager for troubled people to have easy access to the guns they need to kill themselves and others. We aren’t letting that happen, and we are showing our representatives we support their work and will hold them accountable. Find the Colorado Indivisible Legislative Table’s supported “Indivisi-Bills” and calls to action here. We resisted–now we get to INSIST! 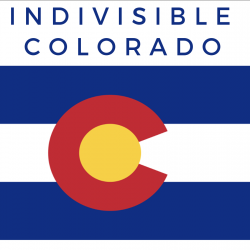 Join an Indivisible group in Colorado to make sure our elected officials are held accountable, to push progressive legislation at the local level, and to set the state for electoral wins in 2019, 2020 and beyond. Everyone is welcome–you can be in Indivisible and other groups; you can be in a group and stay in the background or jump in to activism. We promise you: you’ll find friends. Indivisible Colorado is an evolving communication hub for Indivisible groups across the state of Colorado. Our mission is to be a central source for information, guidance and coalition-building for progressive grassroots activists in Colorado. 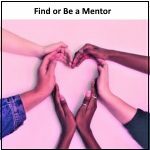 We share a passion for responsible governance and the strong belief that we will dramatically increase our impact and create lasting, positive change through communication, education, and human contact. Click to ask and offer help on the Colorado Progressive Leaders Facebook group. 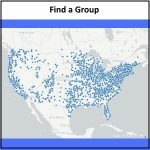 Click to find or enter your group on Indivisible’s group finding tool. First 100 Days and New Indivisible Guide: Indivisible Goes on the Offense 2019! Feel free to contact us at indivisiblecolorado@gmail.com with any questions or comments, or suggestions for this site! You can also sign up for our monthly newsletters and other emails.